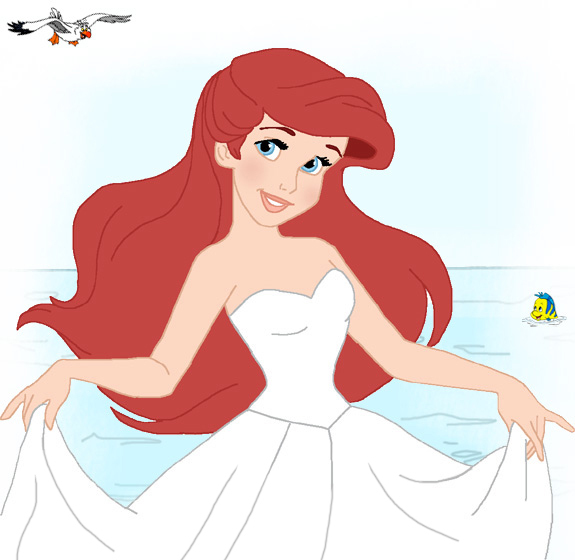 Dress up and make up Disney's Ariel for a special occasion on the shore! Mix and match dresses, earrings, hair accessories, necklaces and shades of makeup ideal for a former mermaid's life on land. In the Hans Christian Anderson tale "The Little Mermaid", on which the Disney movie is based, the little mermaid remains unnamed. Hard to imagine the red-haired princess going by any name other than Ariel today.